For nearly two decades I have collaborated with Drs. 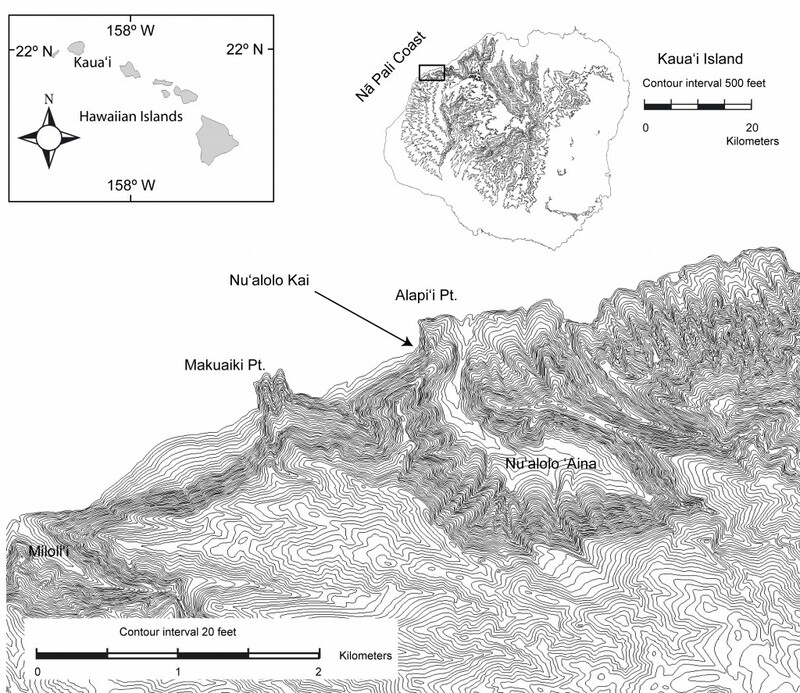 Windy McElroy and Michael Graves (UNM) on the analysis of archaeological materials from the site of Nu’alolo Kai, located on the Na Pali coast of Kaua’i. The remains of the ancient village at Nu’alolo Kai was excavated by archaeologists from the B. P. Bishop Museum in Honolulu, HI, between the years 1958 and 1964. Our work has focused on the tabulation and description of the collection of artifacts, a summary of which was published in 2005 (Graves et al. 2005). Michael Graves and I have recently published an edited volume that focuses on the fauna recovered from the excavations: the bones of birds, dogs, pigs, fish, and other creatures that were part of daily life in Hawaii. 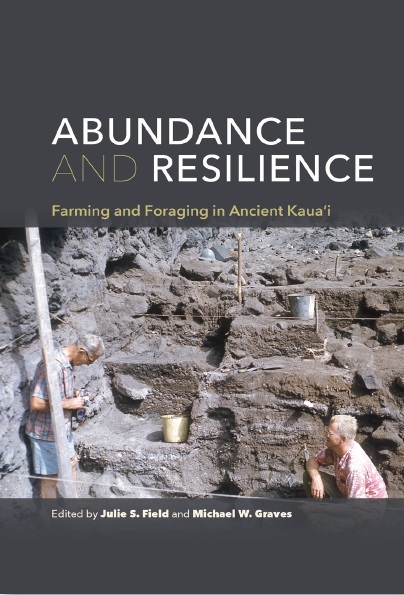 This volume is entitled, “Abundance and Resilience: Farming and Foraging in Ancient Kaua’i”, and it has been published by the University of Hawaii Press (September 2015). A brief synopsis of the book: the chapters in this book seek to examine the frequency of both wild and farmed animals over the 500 year history of the site of Nu’alolo Kai, and examine trends for the production of food and tools, and examine the resiliency of wild species to human predation. The first three chapters introduce the site and the ecology of the Na Pali coast, and four chapters examine the frequency of fish, turtle, birds (seabirds and landbirds), and introduced and native mammals. Two chapters compare the frequency of other artifacts, such as coral and shell artifacts, with the frequency of their source populations. The two final chapters indicate how the analysis of zooarchaeological collections can provide indications for modern conservation efforts, and provide a synthesis for the prehistory of human food production and occupation at Nu’alolo Kai. Contributing authors include Julie S. Field, Michael W. Graves, Owen L. O’Leary, Stephanie Jolivette, Kelley S. Esh, Windy K. McElroy, and Alex E. Morrison. Map showing the location of Nu’alolo Kai, Kaua’i. Dog skull from Nu’alolo Kai.